So, I got stuck working a Sunday and it wasn’t much different than my Saturday. Not a whole lot to do. Around noon, I decided it was lunch time. Since I had some time, I decided to, for the second day in a row, do carry-out from a place I’ve been wanting to get to. 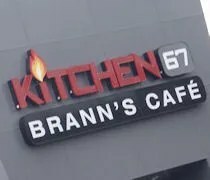 My choice today was the new concept restaurant from Brann’s. 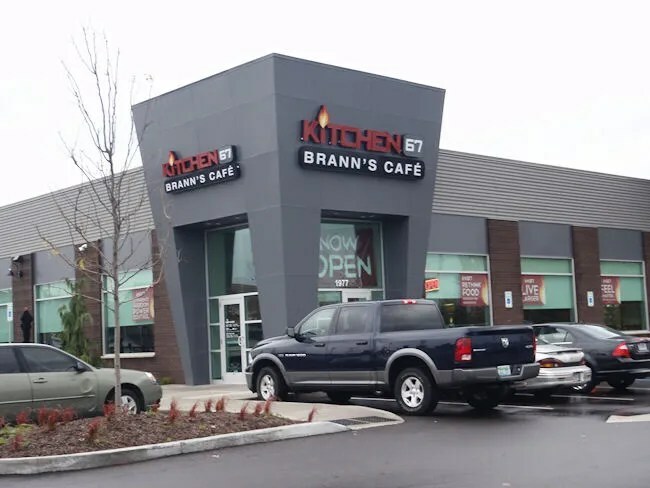 Kitchen 67 is a really unique, interesting concept they’re calling Flex Casual. It’s located on the Beltline just to the Knapp Street. What is Flex Casual? Well, the restaurant starts out the day at 7:00 AM as a drive thru coffee place. At 10:00 AM, the restaurant opens as a fast-food style counter service (with MUCH better food than the Wendy’s right behind them). At 4:00 PM, the restaurant again changes, this time become a full service, sit-down restaurant. Another really unique part of Kitchen 67 is all the technology. Some of the booths have iPads connected to the walls. There’s a really cool iTunes DJ that you can link to your Apple device which allows you to pick the songs that are playing in the restaurant. There are wireless charging spots that work with Verizon Qi-enabled devices. There’s a virtual Pepsi machine (which I didn’t know about and didn’t check out…now I’m kicking myself on this one). They also have a video conference center for the business man on the go as well as free high speed Internet. I chose to hit up Kitchen 67 for lunch because the counter service is really more my kind of thing. When you walk in to the restaurant, the counter is right in front and there are large flat panel displays with the menu. While the set up may look like fast food, the food is anything but. If dining in, the meals are served on real plates and they’re plated just as the would be if you were eating during the full service dining times. My eyes were drawn straight to the burger section of the menu where I found a couple of selections that made it hard to choose. My gut told me to go with the Black Jack Burger, but that didn’t happen. Too spicy (nah, there’s really no such thing as too spicy). My choice was the Bleu Bayou Burger. The burger starts with USDA choice beef topped with applewood smoked bacon, crumbled bleu cheese and Cajun mayo on a Brioche bun. The hearty bun held on to a lot of the juices from the tender burger. 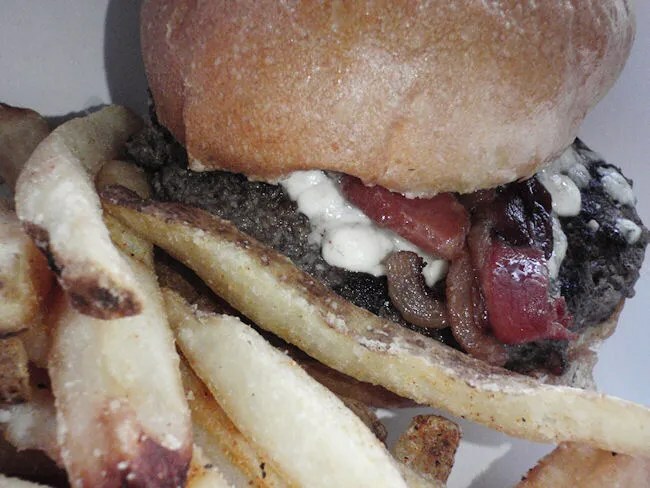 The tangy mound of bleu cheese and greasy bacon rounded out the flavor explosion. The sandwich is served with crispy, skin on fries. The meal cost just over $9. Kitchen 67 is a really incredible concept. It’s one of those places that will most likely be imitated should the concept take off. The technology component alone is interesting enough to get people in the door and the food will keep them coming back.